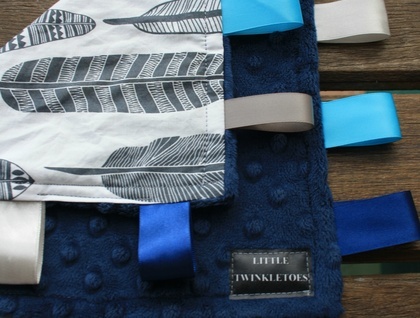 This modern design feathers taggie blanket is backed with the beutifuly soft minky fabric in navy colour. 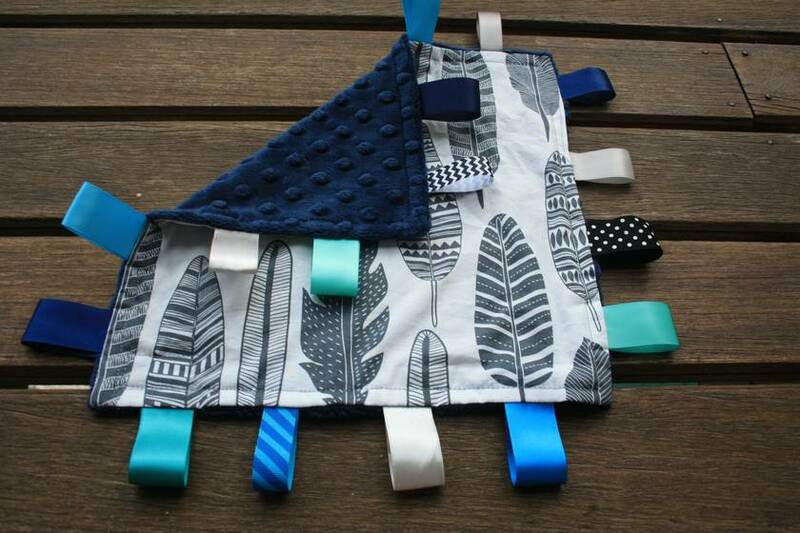 Sensory taggies are one of the most loved and cherished new baby gifts! Cute, cuddly little blankets.... with different textured, colored ribbons, sewn all around the edge. They provide hours of fun and entertainment and sensory stimulation for little ones. Contact polepetko to enquire about payment or shipping options.